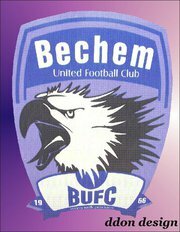 Bechem United have two players on trial at Juve Stabia. Bechem United duo David Nana Yeboah Johnson and Evans Osei have arrived in Italy for trials with Serie B side Juve Stabia. The midfield pair passed a medical on Monday and have since impressed in the first week of training, according to club officials. The duo were sent to the peninsula after scoring high marks in a 2012 mass trial tournament for under-20s in Kumasi which was put together by FIFA agent Oliver Arthur. They have joined compatriots Maxwell Boadu Acosty and Daniel Kofi Agyei who are also managed by ArthurLegacy Sports.